Back in 1954, listening to the radio wherever you went set you back $49.95 (less battery). 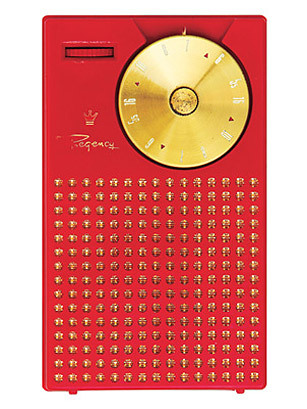 Marketed as the "world's first pocket radio," the Regency TR-1 was also the first transistor radio. It was jointly developed by Industrial Development Engineering Associates and Texas Instruments and consisted of parts built by various parties scattered throughout the U.S.